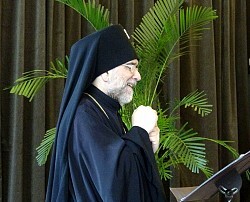 Young people, high school freshman to college graduate 20-somethings, from the Orthodox Church in America and Greek Orthodox Archdiocese gathered at Holy Virgin Protection Cathedral in New York City on 14 May 2016 to hear the stories of men and women who followed a calling to serve Christ and His Church. The day started off with a prayer service (molieben) led by Father Christopher Calin (Cathedral Dean). Afterward the discussion format made for an intimate setting and allowed for lively dialogue. Panelists shared their own journey and calling to service in the Church: Benedict Sheehan (Choir Director at Saint Tikhon’s Seminary); Father Peter Baktis (Rector, Mother of God Mission in Princeton NJ and former military chaplain); Clio Pavlantos (hospital chaplain); and Archdeacon Michael Suvak (full-time deacon at the Cathedral). Archbishop Michael gave a reflection on the meaning and theology of having a "calling" and Father Matthew Brown, the event organizer, facilitated the discussion. Another benefit reported by the participants was being able to connect with other young people interested in serving the Church by discerning their own call to ministry. 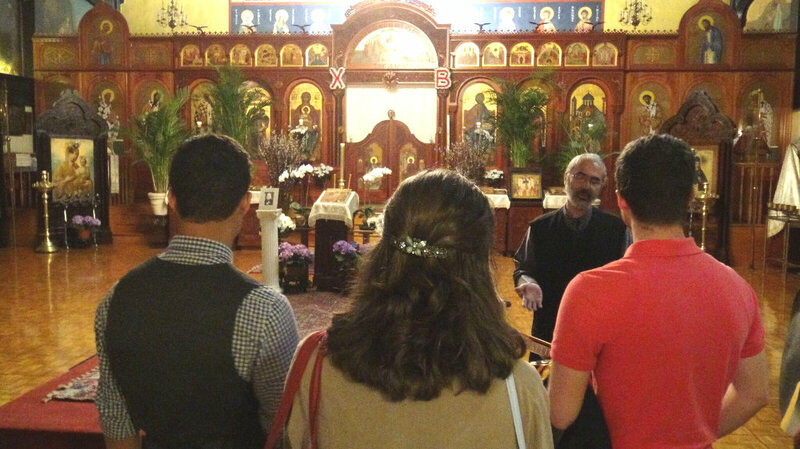 The day concluded with a trip to Saint Vladimir's Seminary for a tour and talk by Dr. Peter Bouteneff. Sharing his own calling to ministry as a lay theologian of the Church, Dr. Bouteneff discussed programs available at the seminary. Nicholas, who also attended the event, took this lesson away with him: "How does one discern what to do in life? We look to the talents and influence God has given us and the needs of others he has put before us."